Yesterday, we shared “Here Sometimes“, the first new Blonde Redhead song in years. 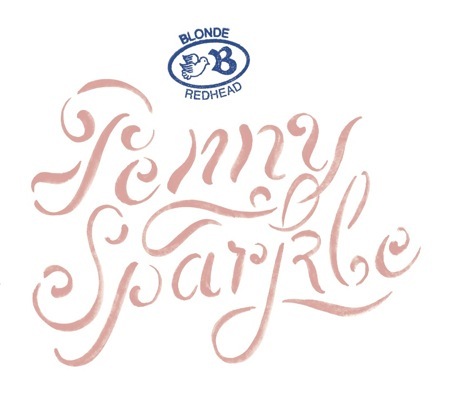 Turns out it’s the opening track from Penny Sparkle, a new Blonde Redhead album. The New York trio’s follow-up to 2007’s 23, arrives on our shores September 14 and a day earlier in the rest of the world, via 4AD. According to Pitchfork, The band recorded Penny Sparkle in New York and Stockholm, working with Fever Ray producers Van Rivers and the Subliminal Kid, whose synth-heavy background should have an interesting effect on Blonde Redhead’s luxuriant guitar clangor. Shoegaze legend Alan Moulder mixed, just as he did for 23. The band also has a dozen live shows scheduled across the globe in the months ahead, with more to come soon. I’m jealous that Phil will get to see them at The Capitol Hill Block Party in September July! 09-24 Helsinki, Finland – Virgin Oil Co.
Capitol Hill Block Party is in July. Blonde Redhead plays on the 24th.